The summit of Mt. 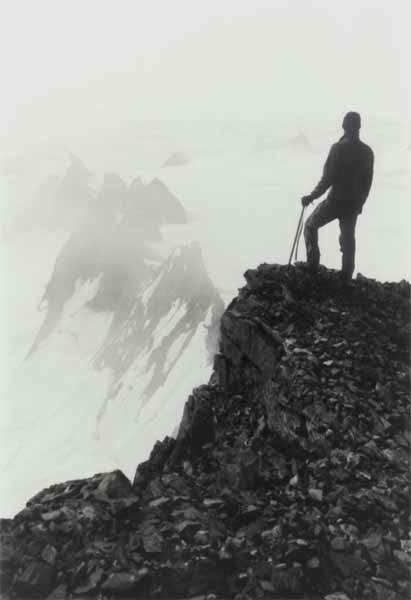 Moore has a commanding view of the entire icefield. Just a few minutes above Camp 8, the summit is great on a clear day. This picture is looking down at the Picket Fence through a bit of a cloud.